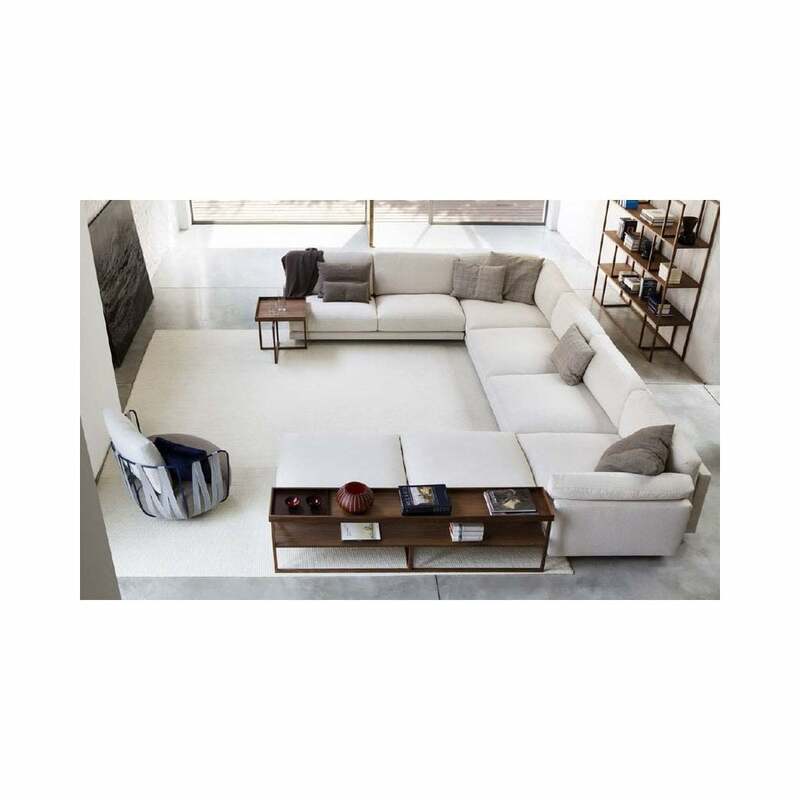 Practical and comfortable sofa group which includes side table and bookcase for storage, designed by Francesco Lucchese. A linear and rigid outer frame contains and contrasts with soft cushions to produce a sense of harmony. This modular range has great personality and many elements to enhance the design and functionality of your living space. A strap system is integrated to the backrest, creating a flex of up to 5 cm for perfect ergonomics and moments of pure relaxation. Please contact us for bespoke configurations or other fabric and leather ranges. Comprising of 2 x corner units, 2 x sofa units, 1 x large pouf, 1 x Match side table and 1 x Match bookcase.